Camden Council has announced that it has taken on Burson-Marsteller and a range of external firms as part of its attempts to change the route of HS2, which it described "as the biggest threat to Camden in a generation". These include leading QC Neil Cameron, parliamentary agent Sharpe Pritchard and firms of engineering experts. Council leader Sarah Hayward said: "HS2 is the biggest threat to Camden in a generation, with four times more homes facing demolition in our borough than along the whole of the rest of the route put together." The council said it anticipated spending approximately £250,000 over the next few months on these external experts. HS2, meanwhile, has hired former Tony Blair spokesman Tom Kelly as communications director and he will join on 1 April from Network Rail, where he is director of corporate communications. For more on Kelly's background read Newsmaker: Former Blair spokesman Tom Kelly tasked with keeping HS2 on track. Labour-run Camden Council's challenge to the planned route of HS2 will build up to the Second Reading of the HS2 Hybrid Bill in the House of Commons, estimated to be heard on 28 April at the earliest. Hayward added: "Ten years or more of blight has already begun for local households and businesses, and we face housing and school demolitions, loss of parks and open space, damage to historic listed buildings, massive environmental pollution and traffic chaos. "All the parties elected to Camden Council have unanimously opposed the current plans, and today we’re stepping up our campaign into a new gear ahead of the Second Reading debate anticipated as soon as next month. "The parliamentary process is arcane and massively complicated, which means we have to use external expert parliamentary agents, a top barrister and now also Burson-Marsteller to boost our efforts. "As we’re going to have to show that our alternative solutions, which are better for Camden people, also stack up in engineering terms, we also have to employ top engineering firms. The biggest threat warrants the best possible response, although of course I bitterly resent seeing council tax payers’ money spent on this instead of frontline services." 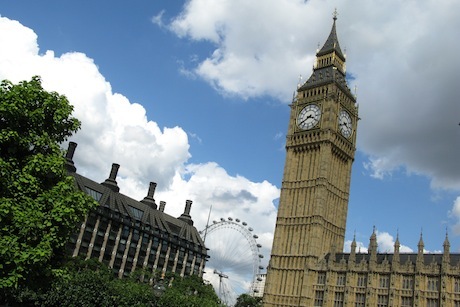 The council added that should the Bill pass Second Reading, this will be followed by a Select Committee process in which its ‘petition’ is likely to involve the it formally giving evidence to a committee of MPs for several days.